If I should be able to you help out in any way, please do not hesitate to contact me at dancummins@comcast.net. Please also contact me should you need any help with setting up a Mediation with Cummins Mediation Services. Trending over the past year were a number of notable Pennsylvania federal court decisions handed down reviewing the issue of jurisdiction over foreign or out of state Defendants. A common thread in a number of the decisions was an agreement that, if a foreign business had registered to do business in Pennsylvania, that minimal contact in and of itself was sufficient to allow for jurisdiction over that defendant. See Mendoza v. Electrolux Home Products, Inc., No. 4:17-CV-02028 (M.D.Pa. 2018 Brann, J.). In a number of other decisions, the federal courts addressed whether jurisdiction could be had under a stream of commerce theory. For example in Wylam v. Trader Joe's Co., No. 3:16-CV- 2112 (M.D.Pa. 2018 Mariani, J. ), the court noted that neither a single sale directed at the forum state nor the fact that the Defendant's products were carried by national retailers was sufficient to establish jurisdiction. In 2018, federal court bad faith Complaints were getting bounced left and right for being rife with conclusory allegations lacking sufficient factual support. Decisions in the Western District, Eastern District and the Middle District tasked plaintiffs with the need to offer facts to support claims of poor claims handling, delays in payment, and lack of investigations by carriers. Lucky for the plaintiffs, in most cases leave to amend was granted. A number of those cases can be accessed at this LINK. Judge James M. Munley of the Federal Middle District Court of Pennsylvania denied the carrier’s Motion for Summary Judgment on a UIM statute of limitations defense in the case of Legos v. Travelers Cas. Ins. Co., No. 3:16-CV-1917 (M.D. Pa. Oct. 11, 2018 Munley, J. ), by holding that the statute of limitations for a UIM is four (4) years from the date of a breach of the automobile insurance contract and not the date of the third party settlement. The breach of contract was noted to be the carrier's denial of the request, or settlement demand, for payment of UIM benefits. In so ruling, the court referenced the Pennsylvania Supreme Court case of Erie Ins. Exch. v. Bristol, 174 A.3d 578 (Pa. 2017), in which it was held that the statute of limitations in an uninsured (UM) motorist case does not begin to run until there is an alleged breach of the insurance contract, i.e., the denial of a claim or a refusal to arbitrate. The Legos decision can be viewed HERE. Some argue that these cases serve to eradicate the statute of limitations in UM/UIM cases by basing the start of the statute of limitations upon the alleged breach of the auto insurance contract by the carrier. When filing such Complaints, Plaintiffs typically allege that auto insurance carriers breach the contract by not paying the Plaintiff's request for UM or UIM benefits. As the argument goes, every time a carrier declines to pay a Plaintiff's settlement demand, another breach occurs which causes the running of the statute of limitations to start again (and again and again and again, every time a demand is rejected). Look for the defense bar to challenge this issue in the future. A number of decisions handed down over the past year confirmed that there is no liability under the Hills and Ridges Doctrine if a person slips and falls during the course of a snowstorm. The Collins decision is also notable for the court's ruling that the Defendant's alleged failure to pretreat a walking surface was not a basis upon which to impose liability under Pennsylvania law. Another case from the past year along these lines was the case of Bless v. Pocono Mountain Recovery Center, LLC., No. 8167 - CV - 2016 (C.P. Monroe Co. May 17, 2018 Zulick, J.). In Bless, which is noted to be the most viewed case of 2018 on the Pennsylvania Law Weekly's Instant Case Service, Judge Arthur L. Zulick, of the Monroe County Court of Common Pleas granted the Defendants’ Motion for Summary Judgment based upon the hills and ridges doctrine in a case where the record contained evidence that the Plaintiff's fall occurred right after a recent snowfall which caused slippery conditions. In the case of Gintoff v. Thomas, No. 2016-CV-2155 (C.P. Lacka. Co. May 4, 2018 Nealon, J. ), Judge Terrence R. Nealon of the Lackawanna County Court of Common Pleas granted a Defendant hospital’s Motion for Summary Judgment in a medical malpractice case given the Plaintiff’s failure to support the claims against that Defendant with expert opinion testimony on those particular claims. This decision was the fourth most viewed case on the The Pennsylvania Law Weekly's Instant Case Service in 2018. In Gintoff, the court found that the Plaintiff's medical expert report, which only addressed the care provided by the defendant doctor, lacked sufficient expert opinion to establish a prima facie case for vicarious liability or corporate negligence on the part of the defendant hospital. As such summary granted was entered in favor of the hospital. Anyone wishing to review a copy of this decision by Judge Nealon may click this LINK. Notable social media discovery and evidentiary decisions continued to trend over the past year. Earlier this year, in the case of Commonwealth v. Mangel, 181 A.3d 1154 (Pa. Super. 2018), the Pennsylvania Superior Court ruled that social media posts are inadmissible in criminal cases unless prosecutors can present evidence of who actually authored the commentary, that is, unless the evidence is authenticated under Pa.R.E. 901. Both the trial court and the appellate court in Mangel found that merely presenting evidence that the posts and messages came from a social media account bearing the defendant’s name was not enough to allow the evidence in. The court noted that Facebook posts and messages must instead be authenticated under Pa.R.E. 901 in a manner similar to how text messages and email messages are authenticated. The Superior Court in Mangel relied on its own 2011 decision in Commonwealth v. Koch, 39 A.3d 996, 1005 (Pa. Super. 2011), affirmed by an equally divided court, 106 A.3d 705 (Pa. 2014), which dealt with the admissibility and authentication of cell phone text messages. It can be expected that a similar ruling will also be handed down in the context of a civil litigation matter should that issue come before the trial or appellate courts. In terms of social media discovery decisions, in Kelter v. Flanagan, PICS Case No. 18-0266, No. 286-Civil-2017 (C.P. Monroe Co. Feb. 19, 2018 Williamson, J. ), Judge David J. Williamson granted a defendant’s motion to compel a plaintiff to provide the defense counsel with the plaintiff’s Instagram account log-in information. public pages on the plaintiff’s profile showed that more information may be found on the private pages of the same profile. A contrary result was handed down in the Northampton County Court of Common Pleas ruling in Allen v. Sands Bethworks Gaming, No. C-0048-CV-2017-2279 (C.P. North. Co. Aug. 6, 2018 Dally, J.). This case arose out of the plaintiff’s alleged slip-and-fall in a bathroom at the Sands Casino in Bethlehem, Pennsylvania. After reviewing the record before the court, the court in Allen ruled that the defense had failed to establish the factual predicate of showing sufficient information on the plaintiff’s public pages to allow for discovery of information on the plaintiff’s private pages. In a footnote, the court also emphasized that such a factual predicate must be established with respect to each separate social media site the defendant wishes to access further. For a comprehensive compilation of social media discovery decisions, one can freely access the FACEBOOK DISCOVERY SCORECARD on the Tort Talk blog. Many of the decisions handed down to date can be viewed and even downloaded from that page. With the continuing absence of any appellate authority on the issue to date, the trial courts of Pennsylvania have developed a common law on the issue of whether punitive damages are a viable part of an auto accident claim involving cell phone use by a defendant driver. In the Cumberland County case of Manning v. Barber, No. 17-7915 Civil (C.P. Cumb. Co. 2018), preliminary objections were granted and a plaintiff’s punitive damages claim was dismissed in a case in which the plaintiff alleged that the defendant driver was texting while driving. According to the opinion, the plaintiff’s vehicle was stopped at a red light with another vehicle stopped behind it. The plaintiff alleged that the defendant failed to stop for the traffic light and rear-ended the second vehicle, causing it to strike to the rear of the plaintiff’s vehicle. The plaintiff additionally alleged that, at the time of the accident, the defendant was not looking at the roadway because she was distracted while looking at and texting on her cell phone. The Manning court concluded that the mere use of a cell phone absent additional indicia of recklessness was not enough to sustain a claim for punitive damages. This decision can be viewed at this LINK. Over the past year, the Pennsylvania Superior Court has continued to hand down important decisions that are marked as "Non-Precedential" by that Court, rendering the decisions to be of minimal or no persuasive value going forward. One rationale voiced at CLE seminars for marking the decisions as "Non-precedential" is that the Superior Court writes hundreds and hundreds of opinions every year. Huh? With all the room in the online world for continuing publications of everything in this Digital Age, including numerous court decisions, the hope is that the Pennsylvania Superior Court begins to publish all of its decisions so as to render them precedential and, therefore, useful. The Superior Court internal rules or customs pertaining to marking Opinions as "Non-precedential" are as necessary as its old, repealed rules that use to make litigators waste time needlessly looking up and citing to both the "A.2d" citation and the "Pa.Super." citation to cases back in the day. Here's to hoping that a change is coming in 2019. In what may be the first reported Pennsylvania decision in an Uber personal injury litigation matter, the court in Fusco v. Uber Technologies, PICS No. 18-0944 (E.D. Pa. July 27, 2018 Goldberg, J.)(Mem. Op. ), conditionally granted Uber’s motion to dismiss the plaintiff’s negligent hiring, retention and supervision claims in a case of an Uber driver who allegedly attacked the plaintiff-customer. In this matter, when the Uber driver arrived to pick up the plaintiff, the driver refused to take the plaintiff to his requested destination as it was too far. The plaintiff, apparently knowing the rules that Uber imposes on its drivers to honor the customer's request to be taken to a certain destination, remained seated in the car and repeated his request to be brought home. At that point, the driver dragged the plaintiff out of the car, kicked and beat him, leaving the plaintiff unconscious and bleeding. The plaintiff later filed this suit against Uber asserting a negligent hiring claim, fraud and misrepresentation claims and vicarious liability claims. According to the opinion, the court had originally granted Uber’s motion to dismiss on the negligent hiring and related claims given that there was no record of any alleged instances of past misconduct by the offending driver. The court noted, however, that, after the plaintiff filed his complaint, news outlets in the area reported that the driver involved in the incident had a prior criminal conviction. In light of this development, the court granted the plaintiff leave to amend his complaint as to these claims. Accordingly, the claim against Uber was allowed to proceed. Anyone wishing to review this memorandum decision may click this LINK. The companion Order can be viewed HERE. And so, with the dawn of the age of Uber and Lyft litigation arising, it may be wise to read up on any case law you see in this regard. Please email me a copy of any decisions you see to be posted here on Tort Talk so that all can benefit from this knowledge. For an article by myself and Steve Kopko, Esquire on the law pertaining to required insurance in Uber and Lyft cases, click HERE. Twelve (12) years of precedent was overturned by the Pennsylvania Supreme Court in the case of Cagey v. PennDOT, 179 A.3d 458 (Pa. Feb. 21, 2018) (Maj. Op. by Donohue, J. )(Saylor, C.J., Concurring) (Wecht, J., Concurring), thereby exposing PennDOT to more litigation relative to accidents involving guiderails along Pennsylvania state roadways. In Cagey, the court expressly overruled the long-followed 12-year-old Commonwealth Court decision in Fagan v. PennDOT, 946 A.2d 1123 (Pa. Cmwlth. 2006), along with its progeny, which had previously held that PennDOT is immune from liability in guiderail cases. With the Cagey decision from the Pennsylvania Supreme Court handed down earlier this year, PennDOT is now only immune when it fails to install a guide rail. With this reversal of many years of legal authority that protected PennDOT from liability pertaining to guide rail claims, it is expected that there will be a dramatic increase in litigation for the government in defending accidents that involve alleged issues with a guiderail. Anyone wishing to review the Majority Opinion written by Justice Christine Donohue may click this LINK. The Concurring Opinion written by Chief Justice Thomas G. Saylor can be viewed HERE. The Concurring Opinion written by Justice David Wecht can be viewd HERE. In a monumental reversal in the case of Balentine v. Chester Water Authority, 191 A.3d 799 (Pa. Aug. 21, 2018 Mundy, J.) (Justices Todd, Dougherty, and Wecht joined in the majority Opinion) (Baer, J., concurring) (Saylor, dissenting, J. ), the Pennsylvania Supreme Court overturned 30 years of precedent by holding that the involuntary movement of a vehicle can constitute the operation of a motor vehicle for purposes of the vehicle liability exception to governmental immunity under 42 Pa. C.S.A. Section 8542(b)(1). The plaintiff’s decedent in Balentine was a contractor working at a site just off the side of a roadway. The Plaintiff was fatally injured when one car struck a parked car that was running and propelled that parked car into the pedestrian plaintiff. The parked car was government inspector's car which gave rise to claims being pursued against governmental agencies that are generally protected with immunity under the Tort Claims Act. One exception to the immunity provisions is the motor vehicle exception, for accidents involving government motor vehicles in operation. In this case, the appellate ladder, the majority of the Pennsylvania Supreme Court reviewed the law behind the Tort Claims Act and decided to overturn 30 years of precedent by holding that movement of a vehicle, whether voluntary or involuntary, is not required by the statutory language of the vehicle liability exception in order for that exception to apply. The Majority Opinion of the Court in Balentine can be viewed HERE. The Pennsylvania Supreme Court's decision in Balentine was recently followed by Judge Julia K. Munley in the Lackawanna County case of Sands v. Hamilton, No. 2013-CV-55 (C.P. Lacka. Co. Nov. 5, 2018 Munley, J.). In Sands, the court addressed a defendant municipal bus company’s Motions In Limine seeking to preclude evidence and testimony related to negligent supervision, negligent training, and negligent retention of the bus driver. The defense was asserting that such evidence was irrelevant given that such evidence did not relate to the central issue of whether the “operation” of the motor vehicle at issue fell under an exception to the governmental immunity provided under42 Pa. C.S.A. §8542(b)(1). Based in part upon the Balentine decision, the court denied the motion in limine and allowed the evidence in at trial. Splits of authority continue to abound on many issues in Post-Koken Litigation in the continuing absence of much needed appellate guidance. Hopefully, the Superior Court will get a chance to decide some of these issues this year and issue published decisions to provide valuable precedent for the courts below. 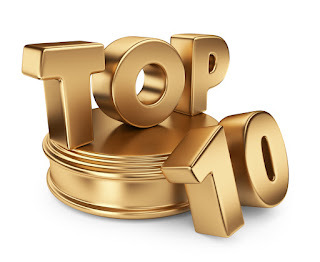 The Pennsylvania Superior Court had another chance to view the issues in Tincher as that case continued its ride up and down the appellate ladder. In this latest decision, the court again confirm that the Azzarello decision is no longer good products liability law. Yet, the plaintiff's and the defense bar continue to battle over proper language for jury instructions. Anyone wishing to review the Pennsylvania Superior Court’s decision in Tincher may click this LINK. In the case of Trigg v. Children’s Hospital of Pittsburgh, No. 2018 Pa. Super. 129 (Pa. Super. May 14, 2018 Kunselmen, Olson, J.J.; Bowes, J., concurring) (Op. by Kunselmen, J. ), the Pennsylvania Superior Court noted that, if trial court judges want the benefit of a favorable standard of review on appeal, they better be on the bench during voir dire in order that they may assess a juror's demeanor in person when deciding whether or not to strike a juror for cause. Both the Board of Governors and the House of Delegates of the Pennsylvania Bar Association have adopted a Report and Recommendation with regards to submitting a request to the Pennsylvania Supreme Court to issue a new rule allowing attorneys to earn up to 2 CLE credits a year, and judges up to 2 CJE credits a year, for their participation in the annual Mock Trial Competition. 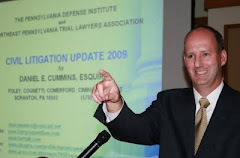 With this adoption of the Report and Recommendation, it is now the official position of the Pennsylvania Bar Association to submit a request - on behalf of all Pennsylvania lawyers - that the Pennsylvania Supreme Court change the Rules of Continuing Education to allow for two CLE and two CJE credits for mock trial participation. That request has been submitted. Here's to hoping the Supreme Court grants the request and thereby provides great assistance to a great program that helps high school and college students all across the Commonwealth of Pennsylvania by increasing the number of attorneys and judges who will be more willing to volunteer their time. In 2018, Cummins Mediation Services was launched and began to provide mediation services to assist in bringing all types of personal injury civil litigation matters to a close with much success. Should you wish to mediate a case in the year ahead, please do not hesitate to contact me at dancummins@comcast.net or 570-346-0745 to request a CV or a proposed fee schedule. In the Monroe County Court of Common Pleas case of Smith v. Riverside Rehab Center, No. 1146 - CV -2017 (C.P. Monroe Co. Oct. 9, 2018 Zulick, J. ), the court found that the Plaintiff failed to establish a prima facie case of negligence in this slip and fall matter given that the hills and ridges doctrine served to prevent the Plaintiff’s recovery and since the Plaintiff provided no expert medical opinion on the issue of causation. The Plaintiff allegedly fell when he slipped while walking up a ramp to the entrance of the Riverside Rehabilitation Center. After discovery, the Defendants filed a Motion for Summary Judgment asserting, in part, that they were entitled to summary judgment based upon the hills and ridges doctrine. The court reiterated general rule of law that, under the hills and ridges doctrine, landowners are protected from liability for generally slippery conditions resulting from snow and ice where the owner has not permitted the snow and ice to unreasonably accumulate in ridges or elevations. In this matter, Judge Zulick found that liability was not established under the hills and ridges doctrine. The record revealed that a severe snowstorm had begun as the Plaintiff traveled to the Riverside Rehabilitation Center. 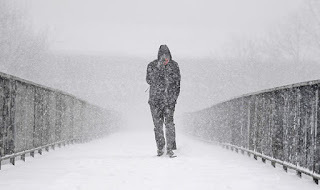 Evidence presented to the court indicated that the snowstorm was continuing when the Plaintiff arrived at the center and slipped and fell while going into the center. As such, the court found that the record established that there was no evidence presented which otherwise indicated that any of the Defendants allowed hills or ridges or snow or ice to unreasonably accumulate. To the contrary, the court found that the case presented as involving a slippery ramp created by an ongoing storm. As such, summary judgment was granted on this basis. The Defendants’ Motion for Summary Judgment was also granted on the basis that the Plaintiff failed to provide a report by a medical expert on the issue of causation. The court had previously directed the Plaintiff to produce a medical expert report, which the Plaintiff failed to do. The court agreed with the defense contention that the Plaintiff was unable to prove factual causation of the injuries allegedly sustained as a result of the slip and fall event. In this matter, the Plaintiff had a complicated history of both pre-existing and subsequent injuries. One of the subsequent incidents occurred only two (2) weeks after the subject slip and fall event. The Plaintiff had allegedly struck his head in both the subject slip and fall incident as well as during the subsequent accident a few weeks after the slip and fall event. Moreover, the defense produced a report from the Plaintiff’s doctor indicating that the Plaintiff’s alleged trauma was related to the injuries sustained during the Plaintiff's more recent incident. The record also revealed that the Plaintiff was involved in a motor vehicle accident approximately two (2) months after the slip and fall event. Other evidence showed that, in the following year, the Plaintiff sustained yet another head injury. Given this complicated medical history, the court concluded that the Plaintiff was required to produce expert medical testimony to prove causation with respect to the injuries alleged to have resulted from the slip and fall event at the Riverside Rehabilitation Center. The court noted that the Plaintiff did not comply with the court’s Case Management Order requiring the production of a medical expert report within a certain deadline and the Plaintiff offered no excuse for failing to do so. Based upon these reasons, the court granted the summary judgment motion. Anyone wishing to review a copy of this case, may click this LINK. Source: “Digest of Recent Opinions,” Pennsylvania Law Weekly (Nov. 13, 2018). Tort Talk was recently invited to join LexBlog, a worldwide webpage for compiling and publishing content from legal blogs from all around the world. 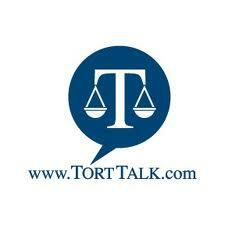 In joining this site, Tort Talk joins over 19,000 legal bloggers, including over half of the 1,000 blogs from the United States' Top 200 law firms. Nothing will change about Tort Talk. This is just announcement to show that Tort Talk has been invited to be a part of a global network designed to provide real-time updates and insights from those in the legal community. Thanks for helping me to keep Tort Talk relevant. In the case of Dittman v. UPMC, No. 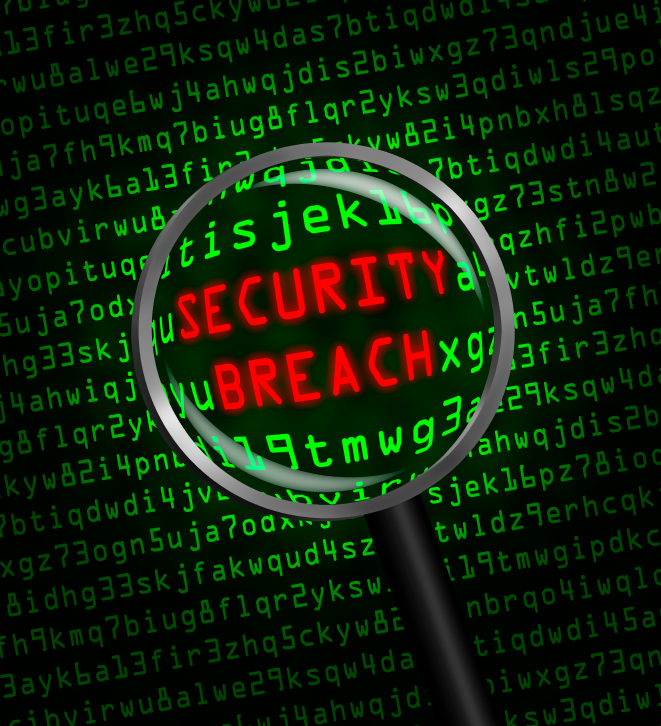 43 WAP 2017 (Pa. Nov. 21, 2018), the Pennsylvania Supreme Court addressed the duty of an employer to safeguard sensitive personal information of employees. The court ruled that an employer has a legal duty to use reasonable care to safeguard an employee’s sensitive personal information stored by the employer on internet/accessible computer systems. The court additionally noted that recovery in negligence for these types of purely pecuniary damages raised in this type of case are permitted under the economic loss plan since the recovery asserted is based upon an application of an existing duty to a novel factual scenario as opposed to imposing a new affirmative duty requiring consideration of other factors under Pennsylvania law. Anyone wishing to review a copy of the Majority Opinion written by Justice Baer may click this LINK. Chief Justice Saylor's Concurring and Dissenting Opinion can be viewed HERE. This article of mine was recently published in the December 18, 2018 edition of the Pennsylvania Law Weekly and is republished here with permission. These are invigorating times for those engaged in the study and practice of law in Pennsylvania. Over the past year there have been dramatic reversals of long-standing law by a newly activist Pennsylvania Supreme Court. There have been clarifications of recurring civil litigation issues by both the Superior Court and Commonwealth Court. There has also been a continuing development of a new common law by the Pennsylvania state and federal trial courts grappling with novel questions in the absence of appellate guidance in post-Koken matters and with respect to social media discovery and evidentiary disputes. Keeping apprised of these dramatic changes and developments is more important than ever. Over the past year the Pennsylvania Supreme Court made its presence known with its new brand of judicial activism evidenced in several civil litigation decisions that have created new avenues for plaintiffs to seek additional compensation and which will likely trigger more litigation in the future. In Cagey v. PennDOT, 179 A.3d 458 (Pa. Feb. 21, 2018), the Pennsylvania Supreme Court expressly overruled the long-followed 12-year-old Commonwealth Court decision in Fagan v. Commonwealth, DOT, 946 A.2d 1123 (Pa.Cmwlth. 2006), and held that PennDOT is now only immune from suit in guiderail claims in limited circumstances. Under the prior Fagandecision there was essentially no liability on any claims against PennDOT relative to guiderails in motor vehicle accident matters. Now, under the Pennsylvania Supreme Court decision in the Cagey case, when PennDOT has installed a guiderail, sovereign immunity is waived if it is established by the plaintiff that the agency’s negligent installation and design created a dangerous condition that caused or contributed to the happening of a motor vehicle accident. A dramatic increase of lawsuits against PennDOT on this theory of recovery is anticipated. In another stunning reversal, the Pennsylvania Supreme Court overturned 30 years of precedent with its holding that the involuntary movement of a vehicle can constitute an “operation” of a motor vehicle for purposes of the vehicle liability exception to governmental immunity under 42 Pa. C.S.A. Section 8542(b)(1). In the case of Balentine v. Chester Water Authority, No. 119 MAP 2016 (Pa. Aug. 21, 2018 Mundy, J. 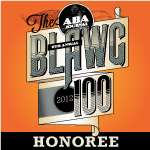 ), the plaintiff’s decedent was working as a contractor hired to rehabilitate a section of a water distribution system. At the time of the accident, the decedent was working just off to the side of a roadway. A government inspector pulled up to the scene and parked his car and left it running. The decedent-contractor was unfortunately killed when a third car struck the parked government inspector’s car and propelled that stationary vehicle into the decedent. The majority of the Pennsylvania Supreme Court reviewed the law behind the Tort Claims Act and held that movement of a vehicle, whether voluntary or involuntary, is not required by the statutory language of the vehicle liability exception in order for that exception to apply. As stated, in so ruling, the court eradicated 30 years of precedent on the issue in one fell swoop. This decision is also expected to give rise to an increase in lawsuits on this theory of recovery. The Pennsylvania Superior Court also handed down a number of notable decisions over the past year. The case of Trigg v. Children’s Hospital of Pittsburgh, 187 A.3d 1013 (Pa. Super. May 14, 2018), has already changed how jury selection will work in the trial courts across the Commonwealth. In Trigg, the Pennsylvania Superior Court reversed a trial court’s denial of post-trial motions in a medical malpractice case regarding, in part, jury selection issues. According to the opinion, in certain trials in Allegheny County, only a court clerk presides over voir dire. Any issues raised during jury selection would require the litigants and the clerk to go to another office to meet with the judge for a decision on whether to strike a juror. As such, the trial court judge would not have any first-hand perception of a juror’s demeanor in response to questions posed by the attorneys during jury selection. The Superior Court in Trigg ruled that, given the fact that that first-hand perception of a juror’s demeanor is the basis for a palpable error deference standard of review on appeal for voir dire issues, decisions on jury strikes made by judges who do not attend jury selection should not be afforded that type of deference by the Superior Court. The Superior Court’s decision in Trigg is in line with the Pennsylvania Supreme Court’s jury selection decision last year in the case of Shinal v. Toms, 162 A.3d 429 (Pa. 2017). In Shinal, the Pennsylvania Supreme Court ruled that whether a juror is to be stricken during voir dire is dependent upon the trial judge’s assessment of the juror’s demeanor and the juror’s answers to the questions posed regarding whether the juror is capable of putting aside any biases so as to serve in a fair and impartial manner. Going forward, it is anticipated that this line of decisions will keep trial court judges on the bench during voir dire so as to avoid any jury selection objections being upheld on appeal. Notable social media discovery and evidentiary decisions were handed down over the past year. In Kelter v. Flanagan, PICS Case No. 18-0266, No. 286-Civil-2017 (C.P. Monroe Co. Feb. 19, 2018 Williamson, J. ), Judge David J. Williamson granted a defendant’s motion to compel a plaintiff to provide the defense counsel with the plaintiff’s Instagram account log-in information. The court ruled in this fashion given that the defense had made a predicate showing that the public pages on the plaintiff’s profile showed that more information may be found on the private pages of the same profile. In addition to granting the defense limited access to the private pages of the site for discovery purposes, the also court ordered that the defense not share that information with anyone not related to the case. The court’s order also directed that the Plaintiff not remove or delete any content from that account in the meantime. During the course of discovery, the plaintiff provided limited information in response to social media interrogatories seeking information regarding her online activity. The plaintiff confirmed in her responses that she used Facebook and Twitter but declined to provide any more detailed information other than to confirm that nothing had been deleted from her accounts since the date of the incident. The defense responded with a motion to compel for more information, including information from the private portions of the plaintiff’s social media profiles. In his detailed opinion, Northampton County Judge Craig A. Dally provided an excellent overview of the general rules of discovery pertinent to this issue as well as a review of the previous social media discovery decisions that have been handed down not only by various county courts of common pleas but also courts from other jurisdictions. No Pennsylvania appellate court decision was referenced by the Allen court as there is apparently still no appellate guidance to date. In his opinion, Dally noted that the defendant had pointed out discrepancies between the plaintiff’s deposition testimony regarding her alleged limitations from her alleged accident-related injuries and photos available for review on the public pages of the plaintiff’s Facebook profile depicting the plaintiff engaging in certain activities. Nevertheless, after reviewing the record before the court, Dally still ruled that the defense had failed to establish the factual predicate of showing sufficient information on the plaintiff’s public pages to allow for discovery of information on the plaintiff’s private pages. Dally additionally noted that, in any event, he “would be disinclined to follow the line of Common Pleas cases that have granted parties carte blanche access to another party’s social medial account by requiring the responding party to to turn over their username and password, as requested by the defendant in this case.” The court found that such access would be overly intrusive, would cause unreasonable embarrassment and burden, and represented a discovery request that was not properly tailored with reasonable particularly as required by the Rules of Civil Procedure pertaining to discovery efforts. In light of the above reasoning, the defendant’s motion to compel was denied. The above cases show that a decision on the discoverability of social media information can be dependent upon the personal assessment of the evidence by a particular trial court judge. It is anticipated that when faced with the issue, the appellate courts will apply a similar method of allowing for social media discovery, i.e., requiring a predicate showing of information on the public pages of a profile that lend support to an assertion that discovery of the private pages should be allowed as well. But perhaps the appellate courts will apply more concrete parameters of the analysis so that the litigants can predict with greater confidence how a trial court judge may be required to rule upon the issue. For a comprehensive compilation of social media discovery decisions, one can freely access the Facebook Discovery Scorecard on the Tort Talk blog. Many of the decisions handed down to date can be viewed and downloaded from that page. Although there has been no appellate guidance in Pennsylvania on the issue of the discoverability of social media information, the appellate courts have weighed in on the issue of the admissibility of social media evidence at trial, albeit in the criminal court context. The court ruled in this fashion after noting that social media accounts can be easily hacked or faked. In so ruling, the court affirmed an Erie County trial court decision denying a prosecutor’s motion in limine seeking to introduce into evidence Facebook posts and messages allegedly authored by the defendant. Both the trial court and the appellate court found that merely presenting evidence that the posts and messages came from a social media account bearing the defendant’s name was not enough to allow the evidence in. The court noted that Facebook posts and messages must instead be authenticated under Pa.R.E. 901 in a manner similar to how text messages and email messages are authenticated. The Superior Court in Mangel relied on its own 2011 decision in Commonwealth v. Koch, 39 A.3d 996, 1005 (Pa. Super. 2011), affirmed by an equally divided court, 106 A.3d 705 (Pa. 2014), which dealt with the admissibility and authentication of cellphone text messages. In the 2018 Commonwealth v. Mangel case, the court noted that the Koch court had previously held that “authentication of electronic communications, like documents, requires more than mere confirmation that the number or address belonged to a particular person. Circumstantial evidence, which tends to corroborate the identity of the sender, is required.” The Mangel court ruled, in a case of first impression, that the same analysis should apply to social media posts in the criminal court context. Sometimes the future, like an Uber ride, arrives sooner than you expect. One of the first Pennsylvania court decisions in a personal injury matter involving an Uber ride was handed down this year. In the case of Fusco v. Uber Technologies, PICS No. 18-0944 (E.D. Pa. July 27, 2018 Goldberg, J.)(Mem. Op. ), the court conditionally granted Uber’s motion to dismiss the plaintiff’s negligent hiring, retention and supervision claims in a case of an Uber driver who allegedly attacked the plaintiff-customer. By way of background, the plaintiff had attended a party Philadelphia and then contacted Uber for a ride to his home in New Jersey. According to the opinion, the Uber app conceals the customer’s destination until the start of a booked trip. Accordingly, when a driver arrives to pick up the plaintiff, he does not know the plaintiff’s destination. The app is apparently set up in this way so as to the prevent drivers from declining routes they deem to be less profitable or less desirable. According to the opinion, Uber does not allow drivers to refuse a trip after learning of a customer’s destination. In this matter, when the Uber driver arrived, he refused to take the plaintiff to his home in southern New Jersey. The plaintiff, apparently knowing the rules that Uber imposes on its drivers, remained seated in the car and repeated his request to be brought home. At that point, the driver dragged the plaintiff out of the car, kicked and beat him, leaving the plaintiff unconscious and bleeding. The court noted, however, that, after the plaintiff filed his complaint, news outlets in the area reported that the driver involved in the incident had a prior criminal conviction. In light of this development, the court granted the plaintiff leave to amend his complaint as to these claims. Accordingly, the claim against Uber was allowed to proceed. In 2018, the law continued to trend with respect to the issue of the availability of punitive damages in claims involving drivers involved in accidents while using their cellphones. Under Pennsylvania’s Anti-Texting Law, 75 Pa.C.S.A. Section 3316, it is provided that no driver shall use a handheld device to send, read or write a text while the vehicle is in motion. Noncommercial drivers are otherwise still currently allowed to use their cellphones to make and receive calls while driving. As for commercial drivers, Pennsylvania’s Distracted Driving Law, 75 Pa.C.S.A. Section 1622, makes it illegal for commercial drivers to use handheld devices in any fashion, except in emergency situations. That law also provides that it is illegal for an employer to permit or require a commercial driver to use a handheld device while driving, except in emergency situations. According to the opinion, the plaintiff’s vehicle was stopped at a red light with another vehicle stopped behind it. The plaintiff alleged that the defendant failed to stop for the traffic light and rear-ended the second vehicle, causing it to strike to the rear of the plaintiff’s vehicle. The plaintiff additionally alleged that, at the time of the accident, the defendant was not looking at the roadway because she was distracted while looking at and texting on her cellphone. The court did note that there were a number of trial court decisions from across Pennsylvania regarding claims for punitive damages in cellphone cases. Based upon these trial court decisions, the Manning court concluded that the mere use of a cellphone absent additional indicia of recklessness was not enough to sustain a claim for punitive damages. In reviewing the plaintiff’s complaint, the note noted that the plaintiff simply pleaded boilerplate allegations that the defendant was inattentive and going too fast. The court in Manning found that these allegations only amounted to a classic claim of negligence, and not recklessness. The court in Manning additionally rejected the plaintiff’s presentation of a policy-based argument that texting while driving should constitute per se recklessness. The court stated that, while this argument maybe considered by a future appellate court, in the absence of any such appellate guidance to date, the Manning court declined to accept the plaintiff’s argument in this regard. The Manning decision is consistent with other prior trial court cellphone decisions requiring additional aggravating facts over and above mere cellphone use in order for a court to allow for a punitive damages claim to proceed. Such aggravating factors in other decisions in which punitive damages were allowed to proceed have included the fact that the defendant is driving a large commercial vehicle, excessive speed on the part of any driver, heavy traffic in the area, looking down or intoxication. It remains to be seen whether 2019 will bring us an appellate decision on the issue of cellphone use and punitive damages claims in the auto law context. There were no appellate decisions handed down in 2018 in the separate auto law context of post-Koken matters. The only published appellate decision to date remains the Pennsylvania Superior Court’s decision from five years ago in Stepanovich v. McGraw and State Farm, 78 A.3d 1147 (Pa. Super. 2013) appeal denied 89 A.3d 1286 (Pa. 2014). In that case, the Superior Court approached the question of whether an insurance company defendant should be identified as a party to a jury in a post-Koken trial but, unfortunately, did not provide a definitive holding on that issue. Incredibly, the Pennsylvania Supreme Court declined to hear that appeal thereby missing a rare opportunity to dole out much needed guidance on novel issues of law. Ever since, the trial courts of Pennsylvania continue to struggle with post-Koken issues. According to the post-Koken Scorecard on the Tort Talk blog, which has been compiling post-Koken decisions over the past decade, there are splits of authority among, and sometimes within, the county courts across the commonwealth on many different important questions of law pertaining to pleadings, discovery, evidentiary and trial issues. For example, in terms of whether post-Koken claims not containing a bad faith claim should be consolidated or severed in terms of the third-party allegations against the defendant driver and the breach of contract claim for UIM benefits, at least 24 county courts favor the pretrial consolidation of such cases, while at least 23 favor the severance of these types of cases. In terms of those post-Koken cases in which a bad faith claim is also alleged, there are at least 10 county courts that deny motions to sever and stay the bad faith claims, while at least 19 other county courts have ruled in favor of granting motions to sever and stay discovery on the bad faith claims. The majority trend in the Pennsylvania federal courts, regardless of whether a bad faith claim has been pleaded, has been in favor of the consolidation of post-Koken claims through the life of the litigation. It is expected that the above trending areas of law will continue to grab the headlines in 2019. Perhaps one of the most important decisions to watch for in 2019 will be the Pennsylvania Supreme Court’s ruling in Roverano v. Crane, No. 58 EAL 2018 (Pa. July 31, 2018). In Roverano, the Pennsylvania Supreme Court is expected to address the issue of first impression involving the question of whether the Pennsylvania Superior Court misinterpreted the Fair Share Act in terms of apportioning liability among defendants in the context of this products liability case. That decision could have an impact across all types of civil litigation matters involving multiple defendants. At the Superior Court level, the hope is that that court will publish any decisions in these trending areas of law as opposed to releasing them as nonprecedential decisions. In this day and age of digital information there should not be any concern with respect to filling too many casebooks—those books are (unfortunately) falling by the wayside. As appellate guidance is desired by both civil litigators and the bench on these emerging areas of concern, such decisions should all be published as a matter of course. The hope also remains that if the Pennsylvania Supreme Court has an opportunity to review any of the above issues on appeal that it will grant certiorari and also provide the much-needed appellate guidance in these important areas of the law.